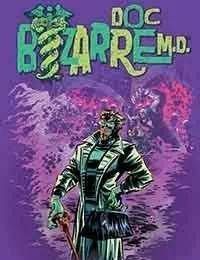 From monsters crippled with pneumonia or demons suffering from incontinence, only one man who claims to possess the skills and the training to cure what ails them -- DOC BIZARRE, M.D.! Hell make globe hopping house calls for sick creepers, medically challenged myths and ghouls at deaths door! Its over-the-top, comedic horror from JOE CASEY and ANDY SURIANO!